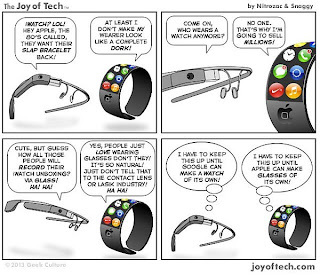 Google is most definitely going to make their Glass product. 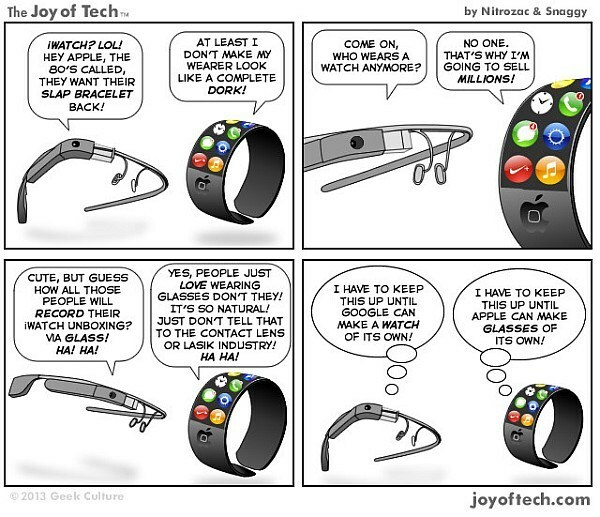 iWatch in the meantime is still part of the rumour mill. Still, never too late to joke about the two until they either become reality or relegated into the abyss.